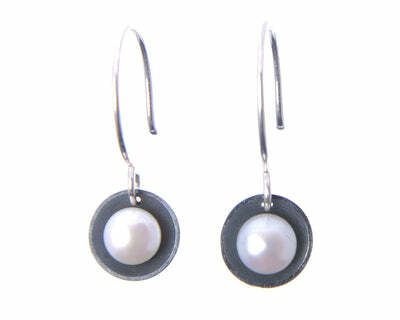 Illuminated by an oxidized sterling silver cup a tiny gem will electrify and sensualize your neck. 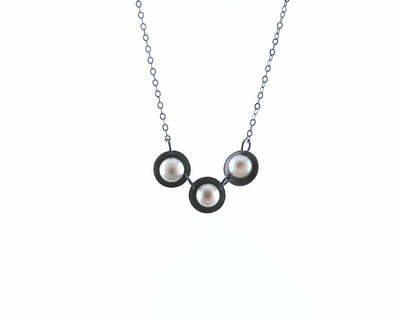 A must have for any lover of pearl jewelry; this modern and minimally designed silver necklace packs quite a punch. 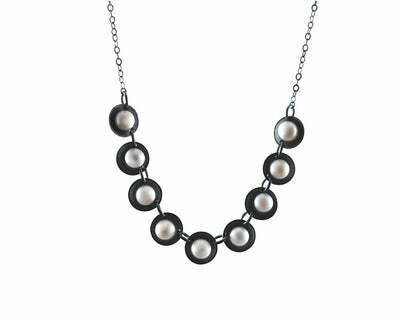 Elegance will grace your look with this small and lovely pearl necklace. 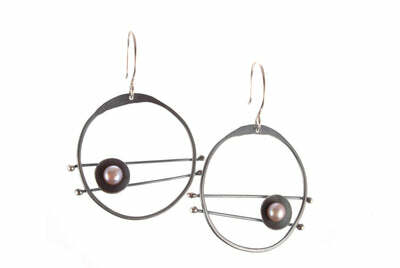 Pendant is 1/3" in diameter and hangs on a 17" sterling silver chain, which can be adjusted to any length upon request.